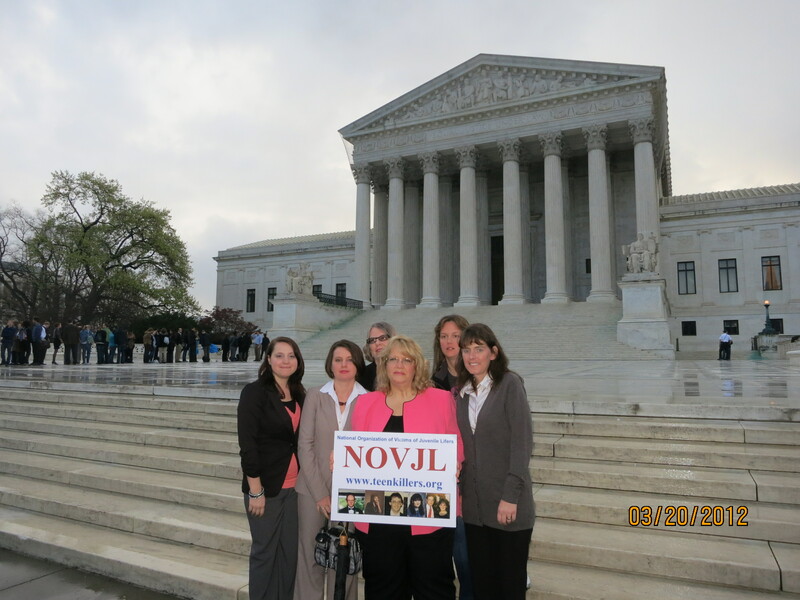 NOVJM’s stand for Restorative Justice possibilities earns praise from juvenile offender advocates. 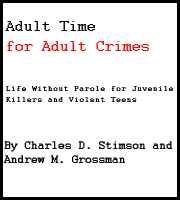 NOVJM wishes to focus the national discussion of what to do about juvenile killers and violent teens onto what we know to be a key part of the solution to the “problem” of so many juvenile killers serving life without parole sentences – PREVENTION. We know that life sentences for murderers result from actions that the offenders took that were entirely preventable. Preventing violence is so much better than coping with the aftermath of violence. We know that many who become offenders were first themselves victims of crime and violence. Violence is cyclical – victims whose needs are not met can go on to become offenders. We know that in most cases there were people in the offenders’ lives that were aware of their danger signs, that were in a position to do something to intervene. We know that dangerous weapons are too easily available to young people bent on criminal acts. We know that often these offenders are already in trouble with the law and working under some sort of official supervision. And we also know that most offenders throughout the criminal justice system can and will re-enter society after serving their time. This is as it should be, and also because teen killers sentenced to life often had previous criminal histories, so we strongly support all programs that work to rehabilitate offenders. These programs are smart, cost-benefit wise. Some NOVJM members volunteer regularly in such programs. Since we are the living legacies of those murdered, whose lives can never be brought back, we want to join with anyone who wants to work for crime prevention. We need to change the public discourse around the issue of juveniles who kill. We call on the entire national community advocating for the juvenile lifers to devote some of their time and resources advocating for prevention efforts, as many of us do, and to helping the victims of these crimes. We believe that by working together on prevention and rehabilitation issues, victims and advocates for the young killers may begin, in true restorative justice fashion, to find common ground on which to proceed. “RJ” is a philosophy that approaches criminality and victimization as a problem to be solved collectively by the community, with all the stakeholders at the table: victims, offenders, families, experts, community leaders. 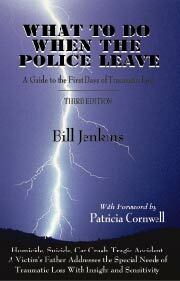 It can take many forms such as victim-offender mediated dialogue, RJ circles, surrogate victims and surrogate offenders talking to one or the other party, etc. RJ began in tribal societies centuries, even millenia ago. One prominent example has been the Maori people of New Zealand. Tribal societies were small, closed groups. When one person wronged another, it was everyone’s problem, and all came together to solve it. Offenders were forced to be accountable and make restitution to their victims. There were no jails in which to house offenders, and often their society was nomadic. The tribal leaders and the parties involved in the crime HAD to work together to fix whatever problem was created by the crime, as best they could. Key to this process was the offender hearing from the victim about the impact that the crime had on the victim. The offender had to acknowledge their culpability and work as best they could to accept their own responsibility. Currently in the USA restorative justice cannot take the place of the criminal justice system but it is an add-on program that can affect sentencing especially in low level lesser crimes. 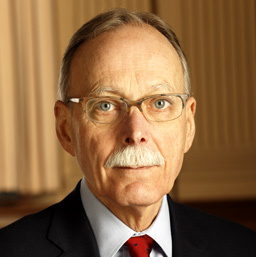 NOVJL agrees with RJ “purists” and those who understand its historical and sociological roots – Restorative Justice systems should be victim-centered and victim-driven. We are gravely concerned about advocates for offenders who are trying to co-opt the RJ movement and throw around the term restorative justice as some sort of formula “victim forgives, killer gets out of prison”. There is, and should be, no prescription for forgiveness from the offender advocacy community. That is a deeply personal decision and process that victims work through and decide on their own. Further, RJ has little to do with the criminal justice system in most cases- they are on two very separate tracks. But we do believe that states and the federal government should create the infrastructure within their prisons for victims who wish to have Restorative Justice, handled by professionals, with offenders in the system. Victims have to be willing and able. Offenders have to be willing and able as well. And the system has to support it. Without all those factors, RJ cannot happen. We believe access to RJ should be a RIGHT for crime victims. We commend the work of Restorative Justice International and its founder Lisa Rea, who has driven the dialogue to keep RJ victim driven. The focus of restorative justice is and should be addressing the harm to the victim and making whatever repairs/restitution can be made. RJ is not and should not be about sentence reduction for the offender. If it is, then the motivations for the offender to participate are entirely suspect. But if the victim initiates and desires restorative justice, and the offender is willing and able, we believe that restorative justice is a right. And we commend those states that are creating the infrastructures to make that happen. Whatever victims need is what we should all want in the wake of the murder of a loved one. Finally, NOVJL welcomes a Restorative Justice process itself with those who advocate for those who murdered our loved ones. We DO ask for this, repeatedly. To date, those requests have fallen on deaf ears. We wait, with hope in our hearts, for those who spend so much time, money, and effort to bring “justice” to the teen killers who destroyed our lives, to try to discuss justice with us in an RJ circle. Listen to Lisa Rea discuss victim-driven Restorative Justice on this video. The Center for Juvenile Justice Re form recently published a paper entitled “Safety, Fairness, Stability: Repositioning Juvenile Justice and Child Welfare to Engage Families and Communities,” which highlights the collaborative approach needed to help youthful offenders. This web URL also features myriad resources from its recent juvenile justice Symposium: http://cjjr.georgetown.edu/resources.html.